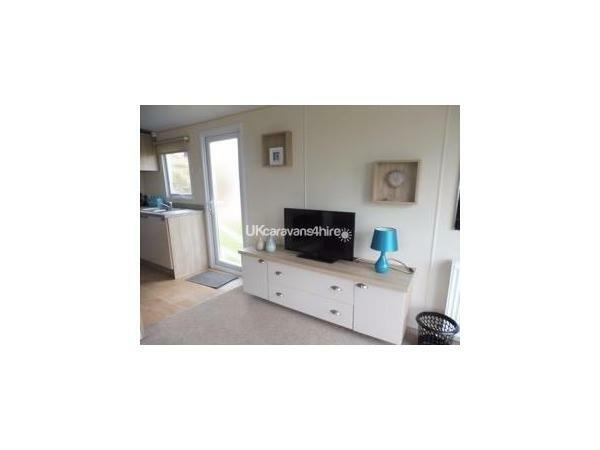 Enjoy a home from home stay in this well equipped caravan which has been fitted out to a high standard with two bedrooms, the master with an en-suite toilet and washbasin, good storage and a 5ft bed. 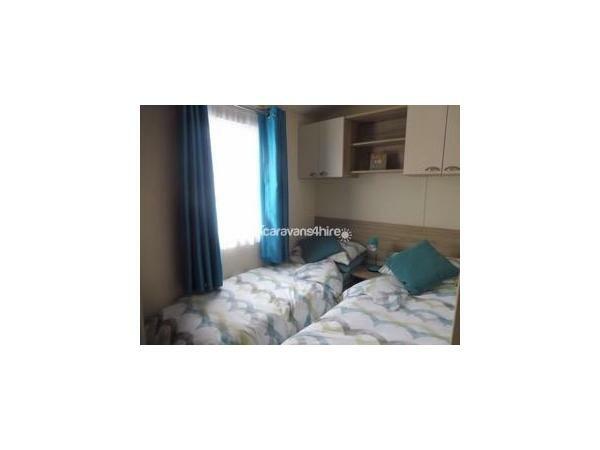 The second bedroom has twin beds with additional storage. 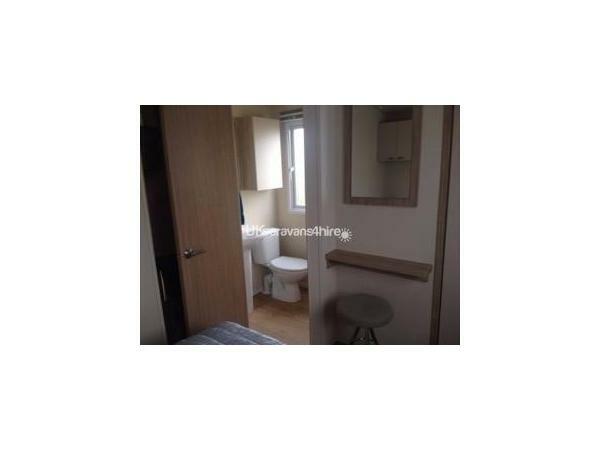 There is a shower room with a power shower, further toilet and washbasin. 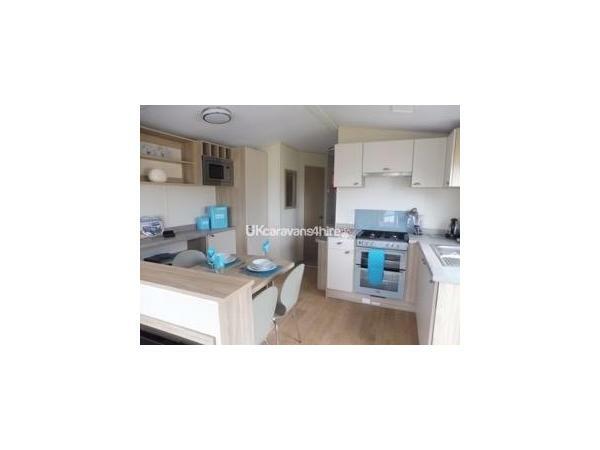 The kitchen has a full size dishwasher and integral fridge freezer together with a gas oven and hob with overhead extractor fan. 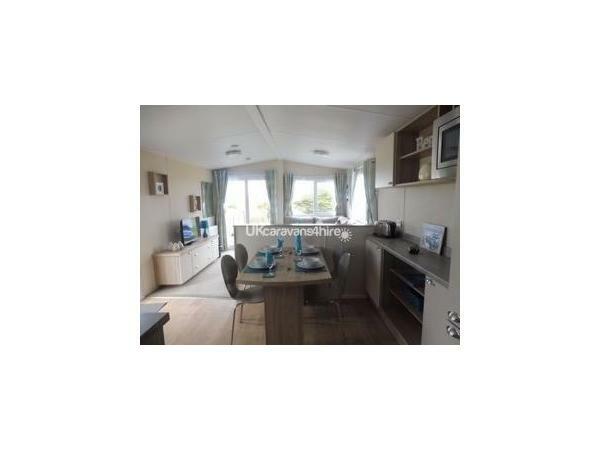 There is a range of crockery and cutlery for your convenience together with a built in microwave and a toaster and kettle. 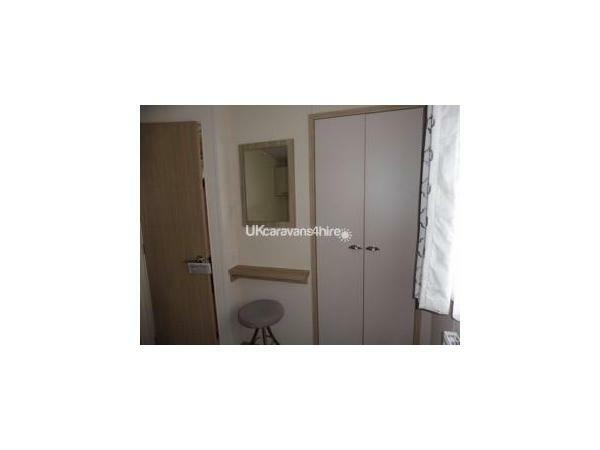 An iron and ironing board are also provided. There is a table which seats 6. 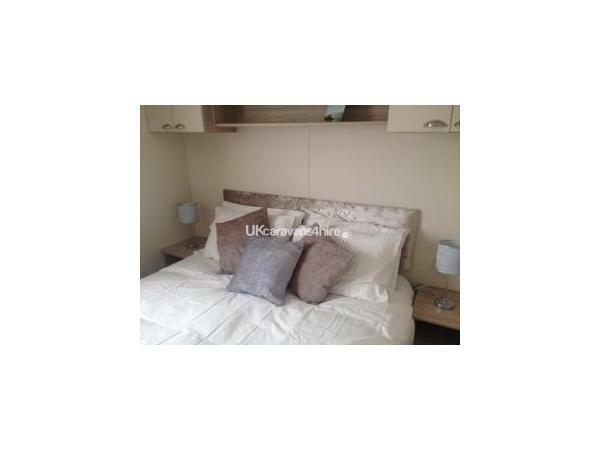 In the main living area there is a corner suite in neutral tones with a pull out bed stored underneath. 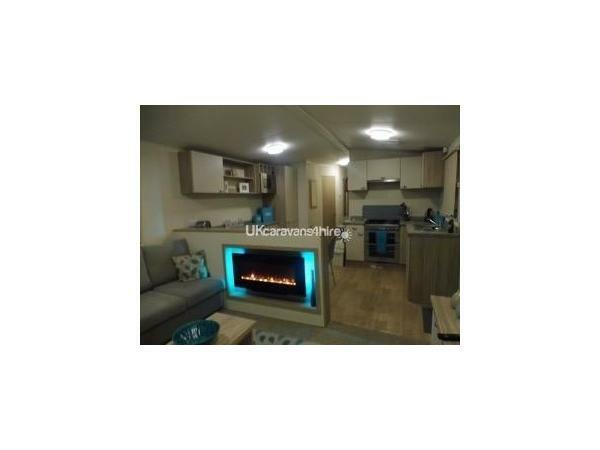 This area is stylish with a flame effect electric fire with ambient lighting and a 32 inch flat screen television with a built in DVD player. 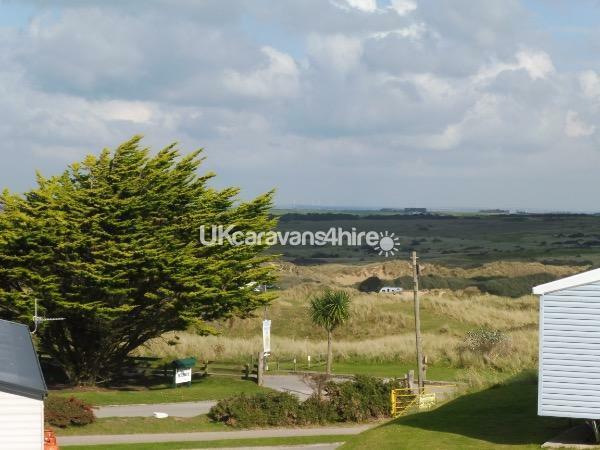 It is light and airy with sliding patio doors to the front to make the most of the stunning, uninterrupted views across the sand dunes to Bodmin moor in the distance. 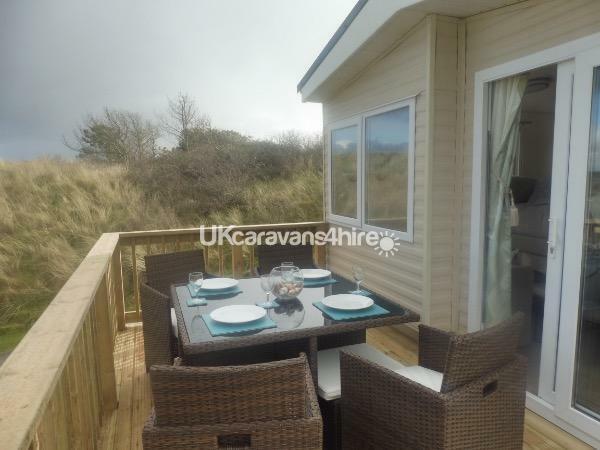 Outside is a decked area equipped with an all weather outside dining suite. 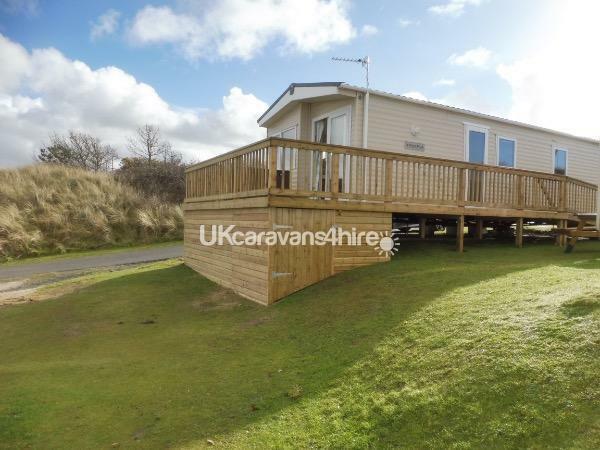 There is disabled access to the caravan and decking area by means of a ramp to the side. 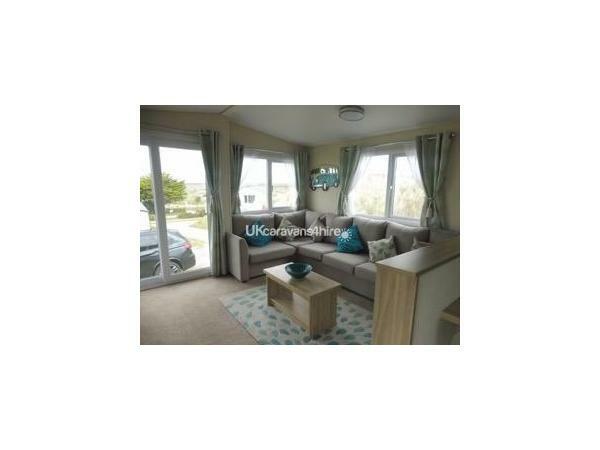 Also to the side there is a picnic bench and parking is available along the other side of the caravan. Additional Info: Nightly entertainment in Live Lounge. Outside heated pool.